Access: Very Difficult. 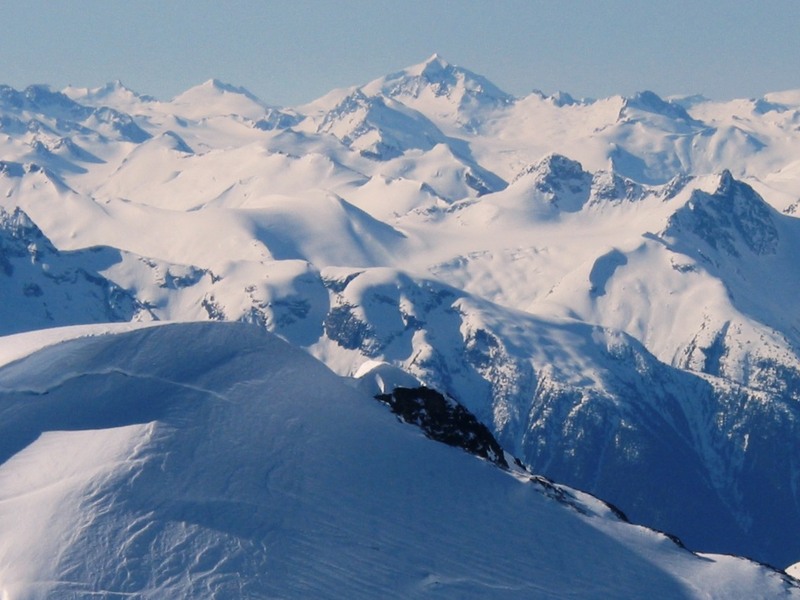 Requires expedition or ski plane. 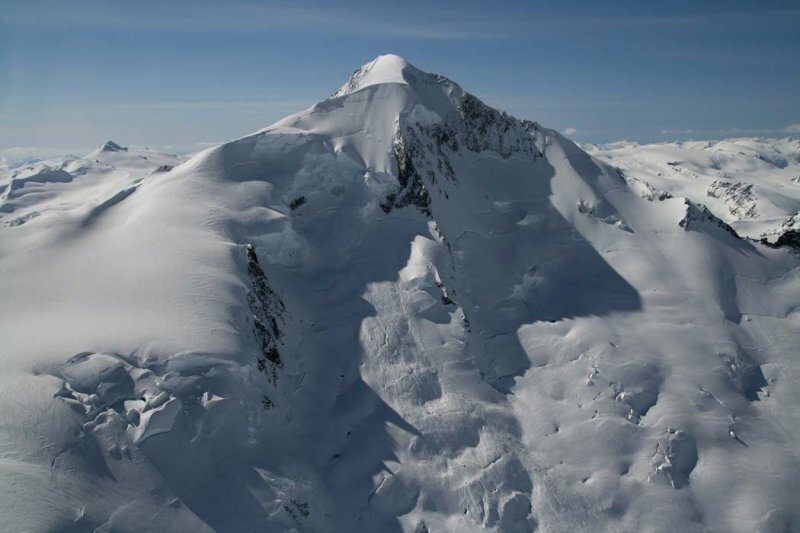 Info: Mount Silverthrone is suspected to the be highest volcano in Canada but due to being almost entirely covered in glacial ice, this is unconfirmed and Mt Edziza takes first place. 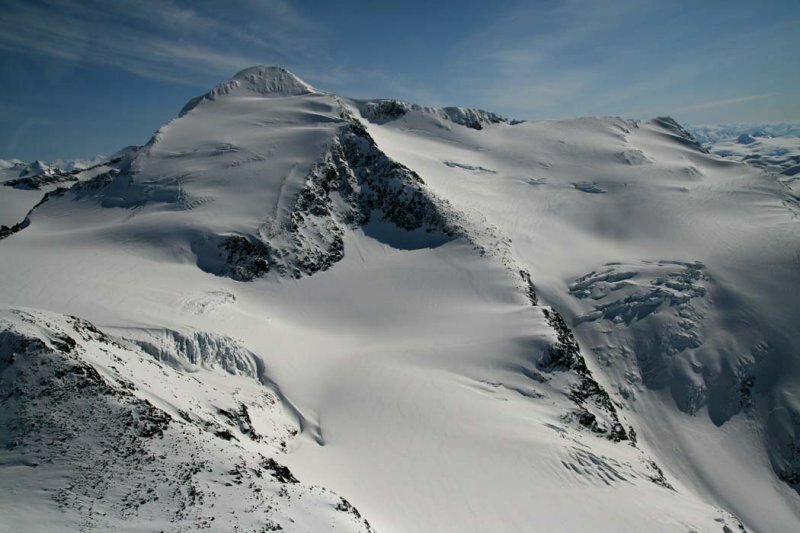 Mount Silverthrone is also the highest summit of the Ha-Iltzuk Icefield which is the largest icefield south of the Alaska Panhandle. 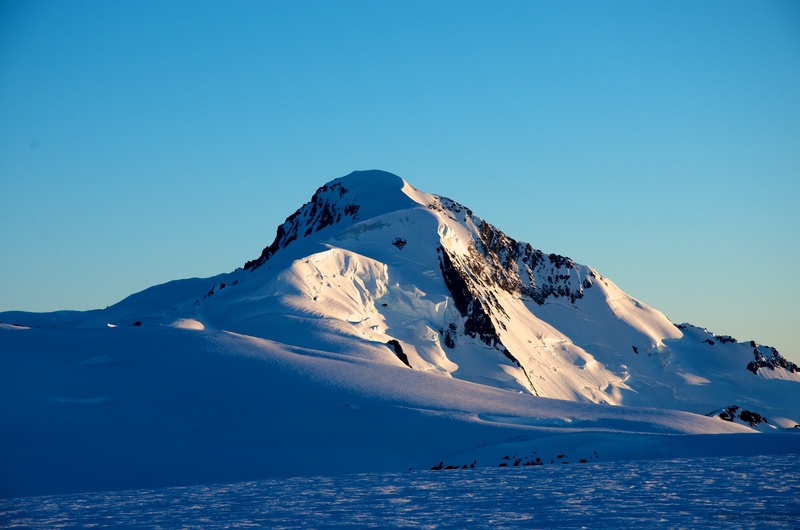 The first ascent by Don and Phyllis Munday was a tremendous expedition into the remote area and is worth reading in the 1936 Canadian Alpine Journal. 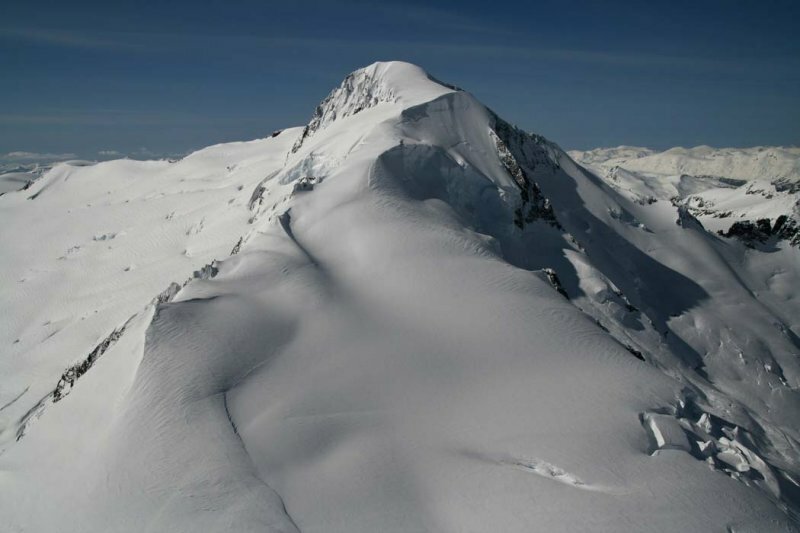 Popularity: Ascents of this peak are rare. 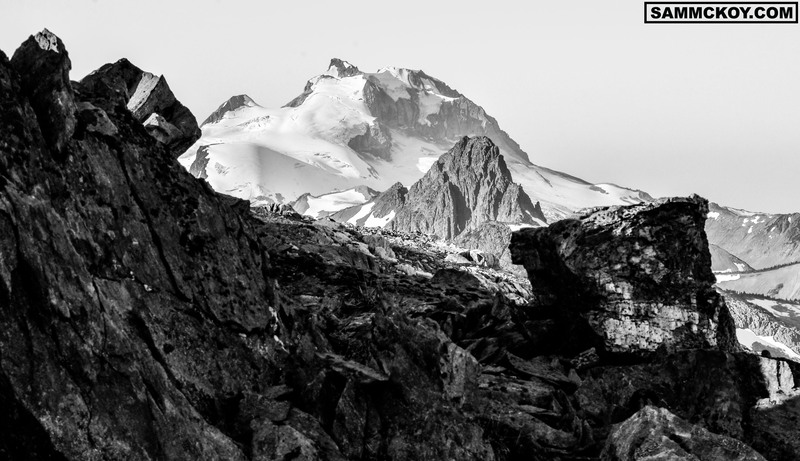 First Ascent: 1936 by Don and Phyllis Munday. 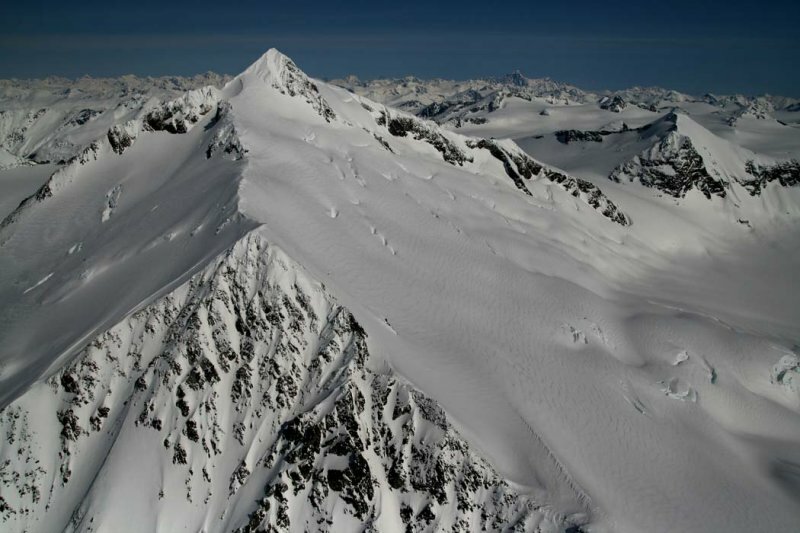 Easiest Route to Summit: The broad glaciated NE ridge which is a gradual skin or walk to the summit with a steep section to the summit ridge. 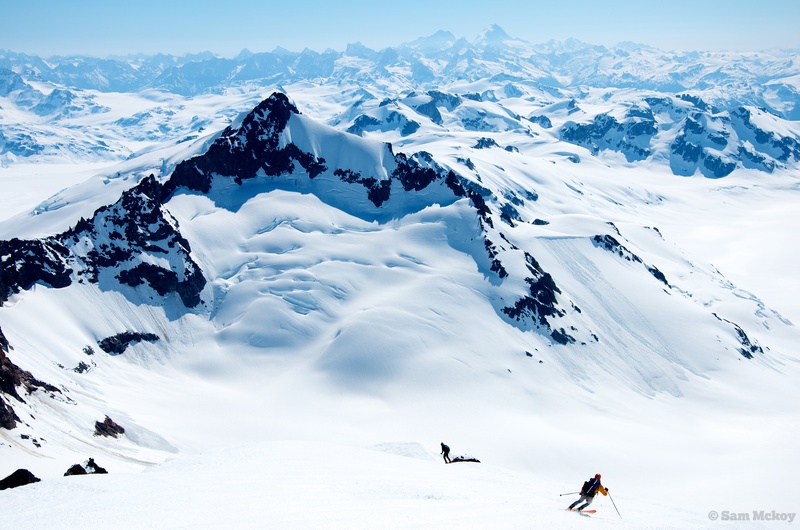 Skiing down from Silverthrone. Waddington in the background. Triplex in the foreground. 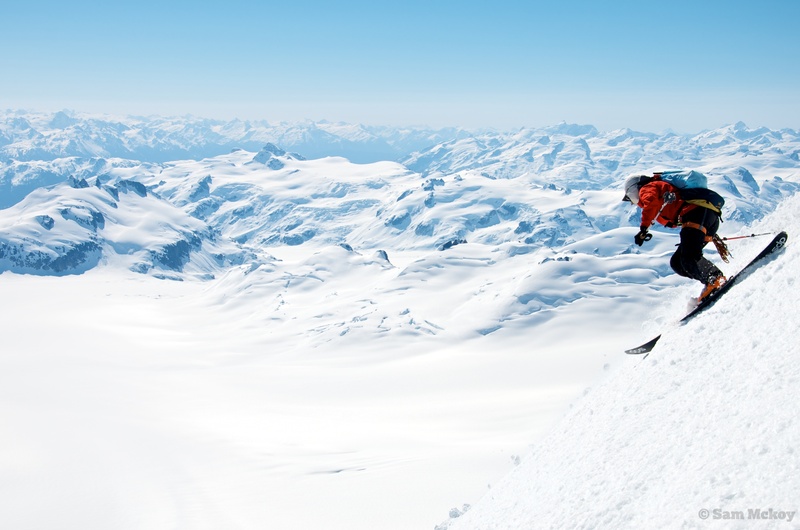 Nick G. skiing down from Silverthrone. 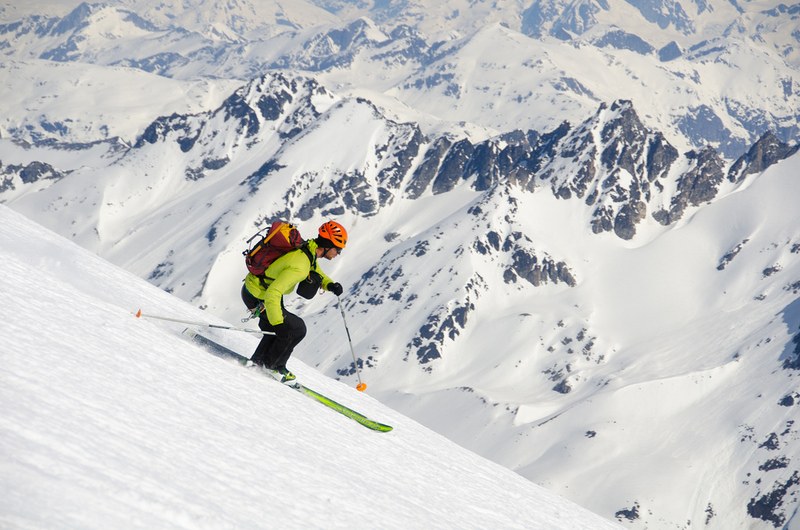 Myself skiing down from Mt Silverthrone. 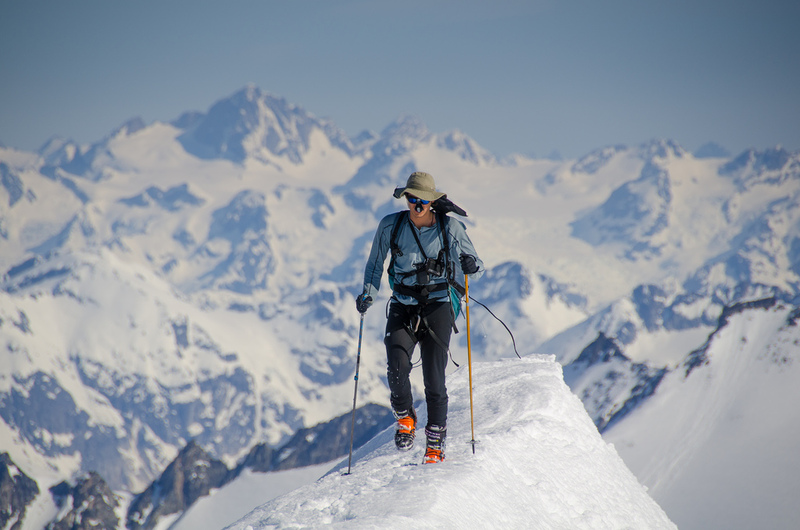 On the summit ridge of Mt Silverthrone. Mt Monarch in the background. 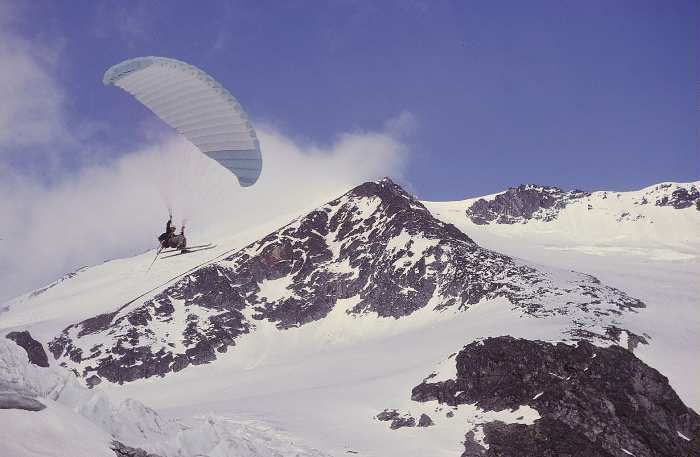 Dave Sarkany paragliding off Mt Silverthone in 1991. 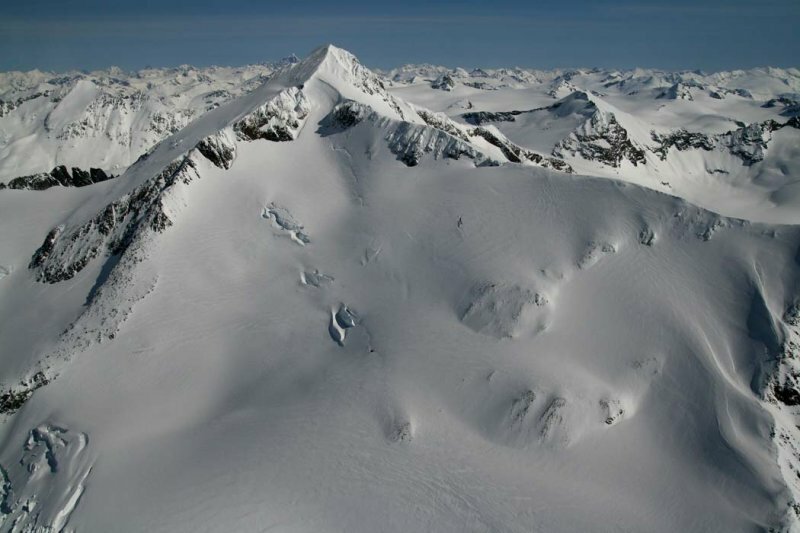 East Ridge of Mt Silverthrone. Silverthrone seen from a distance.